German chemist Friedrich August Kekulé determined the valence (the number and compound-forming ability of electrons in the outermost shell of an atom) of carbon, and was the first scientist to propose that valence could be used to analyze molecules and show how atoms link up with each other in carbon "chains" or, as he called them, "skeletons". When he began his studies, the atomic structure of materials was unknown and considered virtually unknowable. He attended the University of Giessen hoping to study architecture, but found himself drawn in a different direction when he came under the influence of the school's most famous chemist, Justus Liebig. Looking at chemistry from an amateur architect's perspective, in 1855 Kekulé conceived of a revolutionary new theory of chemical structure, that atoms could combine with other atoms to form chains and that close observation of reaction products could yield new information about atomic structure. He later claimed that the idea came to him in a dream as he fell half-asleep in front of the fireplace or, in some of his tellings of the tale, as he rode in the upper seats of a London double-decker bus. The doctrine of atomicity had already been enunciated by E. Frankland, when in 1858 Kekulé published a paper in which, after giving reasons for regarding carbon as a tetravalent element, he set forth the essential features of his famous doctrine of the linking of atoms. He explained that in substances containing several carbon atoms it must be assumed that some of the affinities of each carbon atom are bound by the affinities of the atoms of other elements contained in the substance, and some by an equal number of the affinities of the other carbon atoms. The simplest case is when two carbon atoms are combined so that one affinity of the one is tied to one affinity of the other; two, therefore, of the affinities of the two atoms are occupied in keeping the two atoms together, and only the remaining six are available for atoms of other elements. The next simplest case consists in the mutual interchange of two affinity units, and so on. This conception led Kekulé to his "closed-chain" or "ring" theory of the constitution of benzene which has been called the "most brilliant piece of prediction to be found in the whole range of organic chemistry", and this in turn led in particular to the elucidation of the constitution of the aromatic compounds, and in general to new methods of chemical synthesis and decomposition, and to a deeper insight into the composition of numberless organic bodies and their mutual relations. Professor F. R. Japp, in the Kekulé memorial lecture he delivered before the London Chemical Society on the 15th of December 1897, declared that three-fourths of modern organic chemistry is directly or indirectly the product of Kekulé's benzene theory, and that without its guidance and inspiration the industries of the coal-tar colors and artificial therapeutic agents in their present form and extension would have been inconceivable. 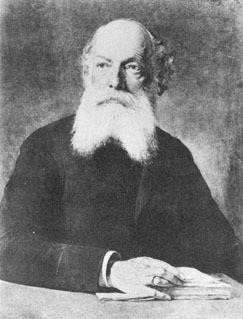 Beginning in 1859 he published a series of chemistry guides under the title Lehrbuch der Organischen Chemie (Textbook of Organic Chemistry). He was a key organizer of the 1860 Karlsruhe Congress, a meeting of European chemists where the present understanding of atomic weights was first agreed upon. In 1865 he published the first accurate analysis of the ring structure of benzene. In 1876 he was struck with measles, and though he lived another twenty years he never recovered his health and conducted no further significant scientific work. He was ennobled by Kaiser Wilhelm II in 1895, becoming August Kekulé von Stradonitz. He died in 1896, several years before the Nobel Prizes were first awarded, but his students Jacobus H. van 't Hoff and Emil Fischer were the first two Nobel laureates in Chemistry. His son, Stephan Kekulé von Stradonitz, was a well-respected genealogist who devised a system of enumerating ancestors which is still used.